Approaching older age may bring many senior health problems and challenges that can have a negative impact on an individual’s daily activities. Being aware of these issues and how you can take the necessary steps to prevent them will result in a long well-balanced, healthy lifestyle. Being both physically active and eating a healthy diet is key to staying in shape and managing risks that present themselves in senior years. Developing osteoporosis and diabetes are two of the most common risks in older age caused by inactivity that can lead to severe pain and a lower quality of life. Regular exercise can prevent these health issues by encouraging movement and improving stiff joints. Strength and flexibility training are vital to maintaining the proper functionality of joints to reduce or prevent pain. Picking a new sport at an older age may seem intimating, especially if health issues are already present. It’s important to understand that most health issues can be prevented or managed with exercise. Older individuals usually express concerns that they’re too old to partake in a new sport or fitness gym. However, this is not true. Joining a fitness gym or new sport is not limited to a specific age group. In fact, it promotes a healthy life by exercise, expands social circles and acts as a stress reliever. Training boxing or MMA increases flexibility, endurance, strength and most importantly the quality of one’s health. At Precision Boxing & MMA in Poughkeepsie, New York we offer training in various disciplines for all age groups in a fun, friendly controlled environment. Our students come from all walks of life and range from many different age groups. Our older students have found success in many different aspects of their lives, from improving their health by losing weight to developing a new skill that enables them to effectively defend themselves. Check out what our older Hudson Valley student Frank Soto says about why he trains in older age and why he chose to train at Precision Boxing & MMA. If you’re an older individual living in the Hudson Valley and looking to improve or maintain good health by learning a new skill or picking up a sport such as boxing or MMA, visit or call 845-392-8495 so we can help you get started today! Lack of physical and mental exercise can result in weight gain, fatigue, and poor motivation. An inactive lifestyle will diminish your ability to succeed in even the smallest of tasks and is detrimental to your overall health. Physical inactivity is the leading factor in weight gain and can contribute to depression and anxiety. The less daily exercise performed by individuals puts them at high risk of developing cardiovascular diseases and diabetes, two of the leading causes of preventable deaths in America. Adapting an active lifestyle by picking up a sport is one of the easiest methods to kick bad habits, promote weight loss, cure depression and encourage a healthy lifestyle. Training martial arts and boxing is a great way to combat a sedentary lifestyle, as it provides all of the necessary tools to reinforce a happy way of life while whipping you into shape! At Precision Boxing and MMA, we offer a variety of disciplines so that we can accommodate everyone comfortably and help them achieve their fitness and health goals whiling having fun. From looking to lose weight to wanting to train to compete in competitions, we offer it all. Training martial arts acts as a stress reliever and promotes weight lost in practitioners. Martial arts delivers an exciting experience in a ‘no-ego’ environment while shredding the pounds. Check out what Hudson Valley student Rick Leonardi has to share about training MMA to promote weight loss and why he loves training at Precision Boxing & MMA! Live in Poughkeepsie, New York and looking to lose weight while having fun and learning a new sport? Visit or call 845-392-8495 so we can help you get started today! Many martial arts schools in the Hudson Valley area of New York claim to teach techniques which are effective in high level Mixed Martial Arts promotions. However, most of these dojos are stretching the truth and are in fact passing off illegitimate moves as authentic. At Precision Mixed Martial Arts in the Hudson Valley we teach Brazilian Jiu-Jitsu submissions which are routinely used in the Ultimate Fighting Championship, which is the premier MMA event in the world. In fact, many of the submissions taught at Precision were used this past weekend on Saturday, June 8th in Brazil at UFC 160. This just goes to show that our Hudson Valley Martial Arts program is top-tier! UFC 160 this past Saturday had a stacked card full of Brazilian Jiu-Jitsu experts whose mastery of the gentle art was on display. Multiple different types of martial arts submission holds were utilized to win bouts, ranging from various different types of chokes, to armlocks to leglocks. This was exciting to see since it proves that Brazilian Jiu-Jitsu is alive and well at the highest level of Mixed Martial Arts competition and especially because all of these martial arts’ techniques are currently taught at Precision Mixed Martial Arts in the Hudson Valley. Of the twelve fights on the card, nine of them ended by way of submission, making the event all the more entertaining for us Jiu-Jitsukas at Precision. In Brazilian Jiu-Jitsu there are three main types of submission holds used to get the opponent to surrender by way of “tapping out”. These three varieties of submissions are choke holds which cut off the blood to the brain and can render an opponent unconscious; arm locks which can hyper extend the elbow or shoulder joints, and leg locks which can disable an opponent’s knees or ankles. We at Precision Mixed Martial Arts in the Hudson Valley teach all of these martial arts techniques, but many schools do not, or else if they do, they do not teach them properly. Our head instructor Brian McLaughlin is a Brazilian Jiu-Jitsu black belt whose lineage can be traced to the great Royce Gracie and who is himself a Mixed Martial Artist with a record of 6-2 who has used some of the same techniques on display at this past UFC, so we at Precision know that what we are teaching is legit. On the undercard at UFC 160 one of the best submissions utilized was a knee bar which Antonio Braga Neto used to disable fellow Mixed Martial Artist Anthony Smith. Many martial arts’ schools neglect to teach leg locks because they think they are too dangerous, but Precision in the Hudson Valley teaches them frequently and in great detail. Another great submission used to attain victory was a rear naked choke used by Caio Maghalaes to put Karlos Vemola out of commission. 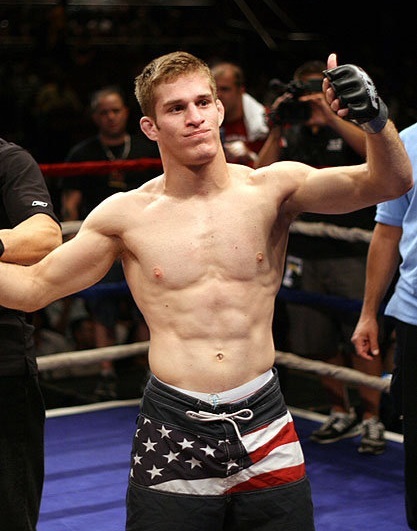 We also teach this submission at the Hudson Valley’s best martial arts gym – Precision Mixed Martial Arts and it has been used by our instructor Brian McLaughlin to win two of his Mixed Martial Arts fights. In another exciting match up, mixed martial artist Raphael Assuncao utilized an arm lock to defeat Vaughan Lee, and this is also a martial arts’ technique which has been used by our head instructor to attain victory in MMA and which he teaches to all our students frequently. Furthermore, Rony Mariano Bezera made use of the famous triangle choke to finish off his opponent Mike Wilkinson in only 1:24 of the first round, and this move has also been used by McLaughlin to win three of his fights and is possibly the most popular submission taught at Precision. Daniel Sarafian used a different variety of strangle hold, known as an arm triangle choke, to put formidable fighter Eddie Mendez to sleep, and this technique was used once again later on the card by Leonardo Santos to take out his opponent William Macario. The submission of the night award was won by Erick Silva who caught his adversary Jason High in a reverse triangle arm bar, a very unique technique not often seen in Mixed Martial Arts which is also taught at Precision Martial Arts in the Hudson Valley. Finally, in the main event between two excellent martial artists Antonio Rodrigo Nogueira and Fabricio Werdum, Werdum hyper extended Nogueira’s elbow with a belly down arm lock to cap off the night. Many people who don’t train in Hudson Valley martial arts do not realize that not all dojos or Brazilian Jiu-Jitsu schools teach such a wide variety of submission holds, or that they work in high level MMA events like the UFC. If you are interested in learning these effective holds, come train at Precision MMA in the Hudson Valley for 30 free days and you will soon find yourself performing these moves instead of simply watching them on TV. Precision Mixed Martial Arts Poughkeepsie Kid’s program is focused on building strong martial artists that have success on and off the mat. Precision MMA has a life skills program that ensures that as kids progress through the martial arts they are also keeping up with their school work, being respectful at home and working to improve their communities. Poughkeepsie Kids enrolled at Precision will become confident martial artists who have the tools to defend themselves and the self esteem to keep them from being targeted in the first place. 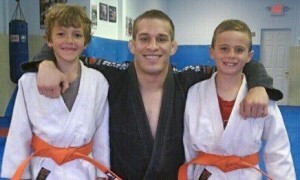 My name is Travis, we’ve been training at Precision MMA for a couple years now, my sons Aiden and Tristen. Training here is probably the best decision we ever made. The kid’s school work has improved tremendously, their behavior has improved tremendously and physically I can tell they are much stronger and they love it here. The coaches are great, the staff is great all the training partners are fantastic. Aiden, he’s 10 and he even comes in on Sunday when there’s all adults here and everybody makes time for him so he can work things and practice stuff and really all around it has just been a great experience. So if you’re considering enrolling your kids in a martial arts program I would have to say that Precision MMA is far and away your best choice in this area. Precision MMA is currently the largest martial arts school in the entire Poughkeepsie area. Owner and head instructor Brian McLaughlin talks about his martial arts journey as a Poughkeepsie kid in the Hudson Valley. I’ve lived in the Poughkeepsie area my entire life. I went to Arlington high school and studied at SUNY New Paltz in college. Growing up Poughkeepsie was known for a lot of things, but elite martial arts training was not one of them. Since the age of 15 I’ve been completely obsessed with martial arts – instead of going to prom I worked on my triangle chokes, for my 21st birthday I prepared for a tournament the next day, I picked my college classes around my martial arts training schedule. Unfortunately, seeking out the best martial arts training meant traveling…a lot. Poughkeepsie wasn’t home to spectacular jiu-jitsu fighters or knockout artists. I would go to Danbury, CT to learn muay thai, Westchester to train Brazilian Jiu-Jitsu and Kingston to learn boxing. I always dreamed of one day bringing my martial arts knowledge back home to Poughkeepsie, so that others in my home town could have access to the type of training I had to travel far and wide for. I first began teaching martial arts in 2004 in the back of a Kung Fu school just outside Poughkeepsie with about 500 sq feet of mats. When I first began my only students were my roommate, brother and girlfriend. Eventually I expanded to include a handful of my college buddies. We later moved to the back of a fitness gym called “Crush” before jumping over to the attic of a physical therapy center. Things were rough back then. The roof would leak, the therapy clients would complain about the noise and once or twice a bat even flew into my office. We pushed on though and slowly but surely our reputation grew and our membership increased. 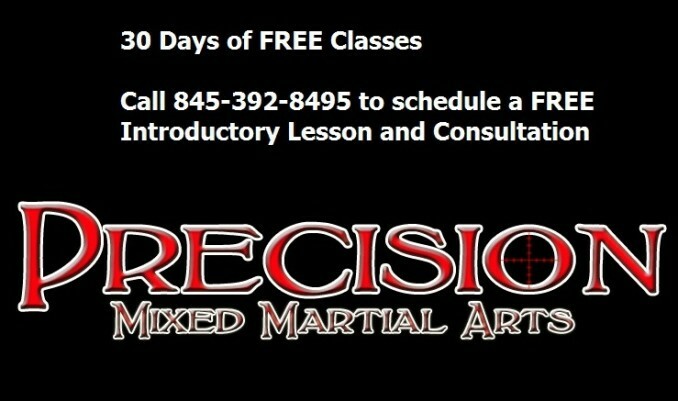 Today Precision has packed classes with numerous expert coaches running classes around the clock. I fell very fortunate to be able to share my martial arts journey with so many incredible people! Although our instructors have always been world class and our students are making great strides, our facility for many years remained modest. However, after negotiating with numerous landlords in an attempt to expand a deal was finally reached and Precision moved into its brand new facility. Finally Poughkeepsie would have a world class martial arts facility. Space is no longer an issue – our facility is 5,000 square feet, we have a full size boxing ring, heavy bags, thai pads, crash mats, shower facilities, leather couches and more training space than any Poughkeepsie martial arts school – my dream has become a reality. Now Poughkeepsie martial artists have access to MMA, Muay Thai, Boxing and Brazilian Jiu-Jitsu champions with classes 7 days a week in a beautiful facility. Precision MMA stands as proof that if you work hard and surround yourself with positive people good things will come. Precision MMA is in such high demand that many of our students travel from Wappingers Falls, Pleasant Valley, LaGrangeville, Hopewell Junction, New Paltz, Pawling and Millbrook for our incredible martial arts classes and outstanding reputation. We are so confident that you will love Precision MMA that we even offer a 30 Day Money Back Guarantee. No other Poughkeepsie martial arts school has the confidence to do that! Now Precision wants to share all it has to offer with YOU. We are giving away a 30 Day FREE Trial to find out more call 845-392-8495 or visit http://www.poughkeepsiemixedmartialarts.com and get started with the best martial arts school in Poughkeepsie, NY!